Marijuana has been used medicinally for thousands of years. Medical marijuana has been used for thousands of years. Vikings and medieval Germans used cannabis for relieving toothaches and pain during childbirth, and burned cannabis seeds have been found in kurgan burial mounds in Siberia dating from 3000BC. 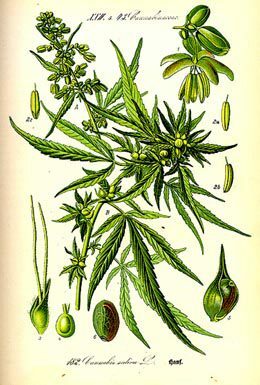 Cannabis seeds have even been found in the tombs of nobles in China and Mongolia, and use spread from here and into Korea, India and eventually the rest of the world. Indeed, cannabis is one of the world’s oldest cultivated crops, and both Cannabis sativa and Cannabis sativa L. (aka hemp, the non-psychoactive plant used for oil, cloth and fuel) have been harvested for around 12,000 years. The plant likely flourished in nutrient-rich dump sites of hunters and gatherers, and it could be argued that the diverse uses of this plant meant that people would start to farm it for consistent use. The first recorded use of cannabis as medicine was in 2,900 BC by Chinese Emperor Fu Hsi 2,737 BC by Emperor Shen Neng of China. Bhang is mentioned in the ancient Hindu text Atharvaveda (Science of Charms, written between 2000 and 800 BCE) and is described as the “Sacred Grass”. To this day, bhang is used medically and as an offering to Shiva in India, even though there are a number of laws restricting its consumption and growth throughout India today. Similarly, the Zoroastrian Zendavesta (700-600 BCE) refers to bhang as the “good narcotic”. To get an idea of marijuana’s spread across the world, we’ll tell you when they arrived on various continents over time. Please remember that this is an approximation as to proliferation of psychoactive marijuana for growth as opposed to hemp solely. Also remember that there will likely be examples of use in countries by individuals and small groups of people who may have used psychoactive marijuana before its mass proliferation thanks to people travelling and importing their favorite herbal remedies. It is only relatively recently that cannabis was made illegal the world over. This comes from prohibition and “The War on Drugs”, which started in the early 1910s, although there were local laws prohibiting drug and alcohol use in the US in the 1860s. 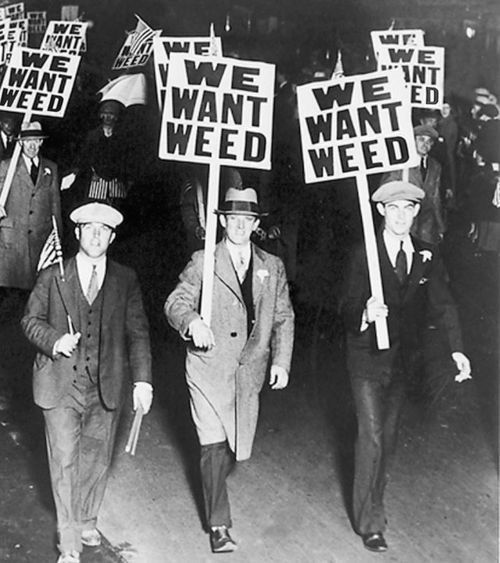 Drug restrictions in the US intensified in the 1930s with the establishment of Federal Bureau of Narcotics (1930), and Franklin D. Roosevelt supported the Uniform State Narcotic Drug Act (1935) and the Marijuana Transfer Tax Act (1937). 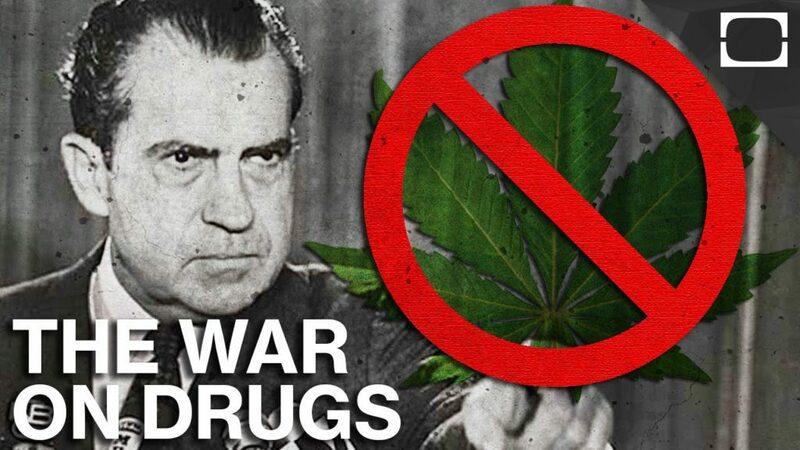 The “War on Drugs” intensified even further under Nixon’s Administration between 1970 and 1971 with the Comprehensive Drug Abuse Prevention and Control Act of 1970. By 1973, the Drug Enforcement Administration (DEA) had been established to replace the Federal Bureau of Narcotics. By 2011, the Global Commision on Drug Policy had stated that “the ‘War on Drugs’ has failed”. Interestingly, US drug policy has been reflected around the world. The UK and much of the rest of the world followed similar drug prohibition laws in the 1970s, and at the same time the National Organization for the Reform of Marijuana Laws (NORML) formed in the US. By the late 1970s and early 1980s, much of the regulation on marijuana had already started to come apart at the seams. In 1976, the Netherlands had decriminalized cannabis, and by the 1980s scientific evidence was coming out that marijuana did in fact have medical use. In 1981, cannabis was approved as a nausea and vomiting combatant for those suffering from chemotherapy side-effect. Marinol (dronabinol), which is a synthetic form of delta-9 tetrahydrocannabinol (THC), was approved by the Food and Drug Administration (FDA) for use by patients. Marinol was made available to AIDs/HIV and anorexia sufferers in 1992. Despite all this research and advocacy for MMJ, the penalties for possession of cannabis increased by the late 1980s and early 1990s. Interestingly enough, as the penalties for marijuana possession increased in the 80s and 90s, San Francisco passed the first medical marijuana initiative. This allowed physicians to prescribe hemp-based medical products. By November 6th 1996 and after consistent campaigning by organizations like NORML and various medical practitioners, California becomes the first state to legalize medical marijuana and PROPOSITION 215 is passed. Alaska, Oregon and Washington legalize medical marijuana in 1998, and Hawaii legalized marijuana in 2000. Colorado and Nevada follow suit soon afterwards in 2000. Vermont and Montana follow in 2004, followed by Rhode Island in 2006. New Mexico makes medical marijuana legal in 2007, Michigan in 2008, New Jersey in 2010, Arizona in 2010 and Washington, D.C. in 2010, Delaware in 2011, Connecticut in 2012, Massachusetts in 2012, New Hampshire in 2013, Illinois in 2013, Maryland in 2014, Minnesota in 2014, New York in 2014 and US territory in Puerto Rico in 2015. Although California was the first state to legalize medical marijuana, Washington and Colorado legalized recreational marijuana in 2012 and Alaska and Oregon in 2014. By 2004, California had placed limits on medical marijuana with Senate Bill 420 (SB420). Possession is limited to 8 ounces of dried marijuana per qualified patient and no more than 6 mature or 12 immature plants per patient, although there have been ratifications since with the Medical Marijuana Regulation and Safety Act (MMRSA or MCRSA). As of today, caregivers who have doctor’s permission can grow up to 100 plants over 100 square feet per patient. Caregivers can provide marijuana for a maximum of 5 people, although caregivers must also provide a service that is not related to marijuana. Most people growing marijuana medically recommend keeping the total number of plants under 99 in order to prevent law enforcement agencies taking and making issues. It was only in recent history that governments cracked down on marijuana. Will the tide turn once again as pressure to legalize increases? The pressure to make marijuana legal for medical use throughout the United States (and the world) has been growing. This move towards legalized medical use has also often bought with it a move towards legalization for recreational use (as PROP 64 shows) and, as many of us know, where the US goes on drug policy much of the rest of the world follows. What does this mean for medical cannabis in the present and future? Well, one of the biggest benefits of legalized medical cannabis is the removal of barriers to research for the medical applications of various strains. Other benefits include safer, higher quality produce. Legalized “recreational” use helps in this regard, too. The methods and efficiency of growing mediums is also likely to improve hugely, as people work out how to grow larger amounts of high-quality marijuana in smaller spaces and using less energy. In fact, this has been occurring since the explosion of homegrown cannabis in the 60s and 70s, which was made all the better ever since Skunk, Haze and Northern Lights genetics were stabilized in the 1980s and 1990s! If anything, the move towards legal medical cannabis has lead to many landrace strains from around the world to be saved as it became apparent that it was more than just THC that medical patients were looking for. This is because growers began to realize that other cannabis strains had unique properties of their own, and that using the same genetics for every new strain will likely lead to huge losses in the long-run (like many biological species, marijuana likes diversity in its gene pool). This, however, is a slightly different (but related) story, and one we highly recommend you take a deeper look at! In the meantime, enjoy our site, listen to Doctor Frank’s radio shows and feel free to email us for more interesting information.